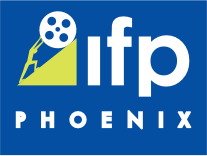 SUBMISSIONs for the 2020 Phoenix Film festival will begin in august 2019. We're the festival that filmmakers love. You've worked hard to make your film. Now it's time to share it with a great audience inside a beautiful theater and experience firsthand why MovieMaker Magazine calls us one of the 25 Coolest Film Festivals in the World! — Whitney Ransick, Director of "Misfire: The Rise and Fall of the Shooting Gallery"
— Eddie Jemison, Actor in Ocean's 11, 12, 13; Director of "King of Herrings"
— Juli Jackson, Director of "45 RPM"
— Bay Dariz, Producer of "Welcome to Happiness"